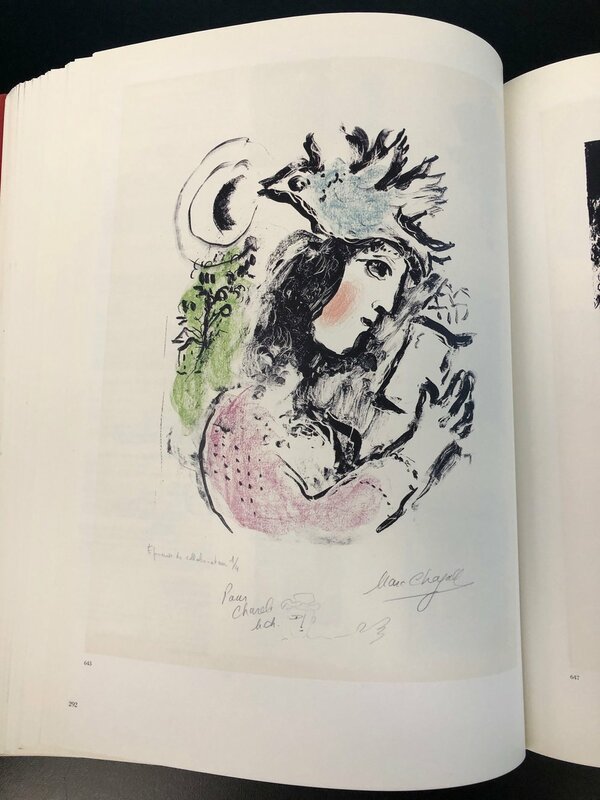 In December we procured a Marc Chagall lithograph titled The Poetess. I have spent some time digging into the pieces history. I thought I would share a bit about it. Frame is gold leaf. This is the original frame. Epreuve d’Artiste- On the front at left side is marked in Pencil: E A. (Artist Proof) This the only known artist proof for this lithograph. There were only 5 of this piece made. The whereabouts of them is unknown. I went to the Seattle Pubic library to learn about the providence. It turns out that during the later part of Chagalls life he made hundreds of lithographies. Charles Sorlier collected many works of Chagall. 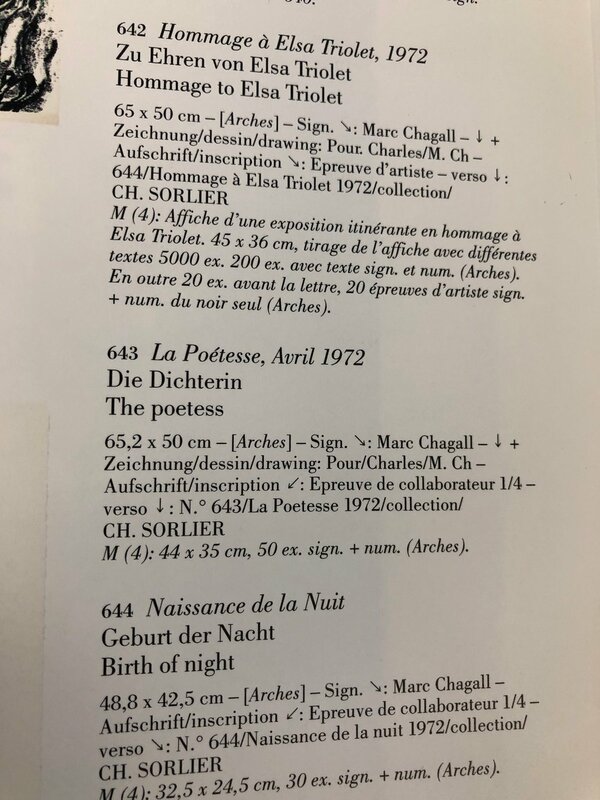 I paged thru this until…..
From Marc Chagall Lithographs, the page showing one of the lithos. I am curious to take our print out of the frame to see what might be hidden! Its very interesting to see his notes and drawing on the work! From the page describing the work. Interestingly, the subject of this piece was likely Elsa Triolet, who is a famous Russian/Jew poet who had passed away in 1970. They were likely friends. From a collecting perspective, this lithography would make a fine investment. The piece has a visible signature, original frame, and providence is established.